Again, the chapter is light in fan service (there is a funny little snippet at the end though) but I think you guys will really enjoy the Asuka/Kaji scenes and the Misato/Kaji stuff. New chapter, Chapter 20 will be available FRIDAY, MARCH 29th! I haven't assembled pages yet but it won't be tiny. Probably in the 40 page range. It will be good for Misato/Kaji fans and also exploring the history of Asuka/Kaji. I guess any way you cut it, this is a Kaji chapter. Ah, so that's why they've delayed Brexit - to avoid a conflict with your release! Theresa May is a reader. Ugh. Kaji with no ponytail and no stubble looks so much like Shinji! Oh well. Bear with me. GrummanCat wrote: Ugh. Kaji with no ponytail and no stubble looks so much like Shinji! 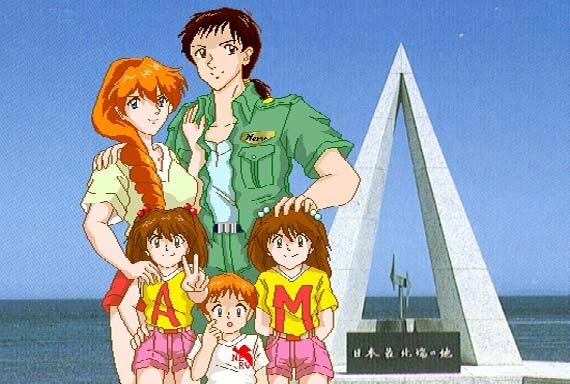 As a matter of fact it reminds me of a fan art I saw years ago of a future Asuka and Shinji with their children. Shinji had a ponytail and Asuka had apparently molded him in her image of Kaji. Of course I wanted to keep Kaji in his original appearance but under the circumstance (he's a JSDF liaison to the US Navy), he would have to cut his hair to keep to regulation. The Eva pilots meanwhile can let their hair down when they are in the designated NERV portions of the carrier but Kaji would have to keep to regs. In fact, when I did this preview for Volume 3, I did have Kaji with a ponytail. But that was a long time ago LOL. It's still more accurate than the preview provided at the end of Rebuild 2.0! Yeah he could be seen as a grown-up Shinji particularly in black and white which is the vast majority of my comic. We're into a phase in the story where 'regulation' clothing and hair is going to be an issue sometimes. I'm not totally married to regulations, but I want to acknowledge them as much as possible. I created a NERV-only area of the ship for the characters so they can (literally) let their hair down. Asuka can look like Asuka, Misato can look like Misato, etc.. But someone like a liaison (Kaji) would have to stick much closer to the full USN regs. And I have to balance that with the need to let him look like Kaji. So it's a tightrope. And I don't pretend to be perfect. GrummanCat wrote: As a matter of fact it reminds me of a fan art I saw years ago of a future Asuka and Shinji with their children. Shinji had a ponytail and Asuka had apparently molded him in her image of Kaji. Actually that's not it but might have been inspired by the one I'm talking about. Asuka's hair was the same. Long and braided. I'll do some digging. I might have it in my archives. EDIT-- here is the image. Don't have a higher rez. Hello. Just wanna say I love your stuff. FelipeFritschF wrote: Hello. Just wanna say I love your stuff. One of the bittersweet things about a comic that has lasted nearly 10 years is that some fans who were really close and good friends disappear and new readers come along. Not only is the new chapter of EVA-303 coming out TOMORROW, but I have assembled a neat chapter-by-chapter review of the entire comic! One brief written page with a selection of images from each chapter! If you'd like to catch up without re-reading the ENTIRE COMIC, here ya go! Thanks everyone who reads this. Now more than ever I appreciate and need you, my readers. PLEASE enjoy! And stop by to let me know what you think please. Did I do it??? Did I make it back again??? Last edited by GrummanCat on Mon Apr 01, 2019 12:46 am, edited 2 times in total. Glad to hear it. I wish more people knew about this webcomic, it's quite underrated. I've been reading this comic for some time, but this is my first time commenting it. I cannot thank you enough, Grummancat, for creating such a magnificent story. It is a perfect example not only of good fanfiction, but also of a well told story. I really look forward to see how it ends. FelipeFritschF wrote: Glad to hear it. I wish more people knew about this webcomic, it's quite underrated. Thanks! 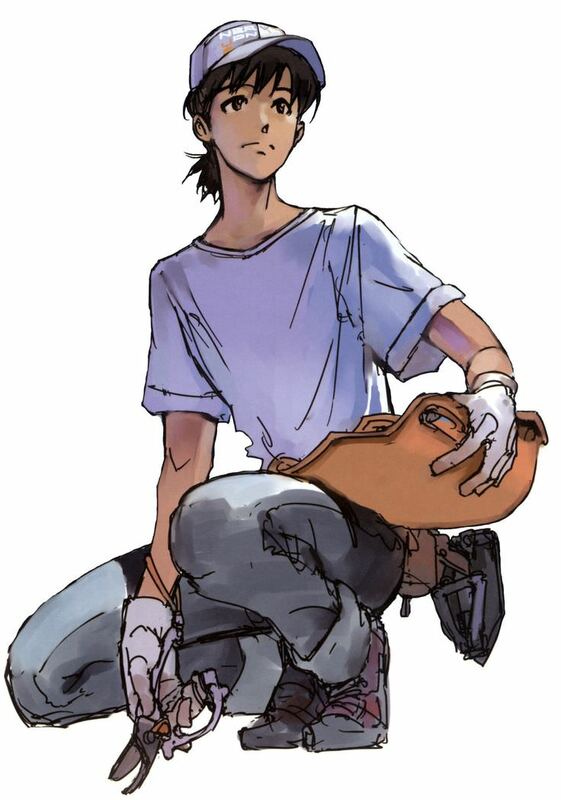 It's a grungy fellow as doujins go Right now things are particularly quiet not only because I've been away so long (many of my readers have drifted away or are no longer watching for updates) but also we're in a big lull in Eva fandom. No previews for 4.0 shaking things up, No 4.0 coming out to galvanize the fandom. Things around this forum are generally a lot more quiet than they were a handful of years ago I find. But I'll keep progressing. A stand-alone 'see ya in a year or two' chapter stands even LESS of a chance of gaining traction. So I will keep working on chapters beginning this week and hope that as we get closer to 4.0, readership will swell again so that the final chapters of EVA-303 can be coming out around the time that 4.0 is coming out. I predict that will be a time of great activity in the fandom. John Spangler wrote: I've been reading this comic for some time, but this is my first time commenting it. I cannot thank you enough, Grummancat, for creating such a magnificent story. It is a perfect example not only of good fanfiction, but also of a well told story. I really look forward to see how it ends. Your words mean a lot to me. Especially in a period of fairly quiet reception to the new chapter. If worded right, one or two messages of feedback can be more powerful than 50 single-sentence comments. Your words also make me think that Chapter 20 is vintage EVA-303, despite my very long absence. If that is true, then I think it was wise to wait until now to produce a new chapter. As I said in my afterword to Chapter 20, it was more important to me to provide the same level of writing that my readers have learned to expect. I look forward to hopefully hearing from more old friends, some of whom have checked in since Ch. 20 began production. I hope Bagheera is reading. I know what you mean. It saddens me sometimes to see so many great writers and artists never finishing their stuff or barely getting any feedback at all. So many great stuff that has been on hold for 10 years. But you're right, for better or worse things are quiet right now, though of course EGF, being a traditional forum, is not going to be as inviting to most newer people compared to other places - then again, we usually have 10 times as many guests reading the forums than active users at any time. I'm guessing things are going to get some traction with the Netflix release and of course as 3.0+1.0 is marketed and eventually released. Nonetheless, some specific advertising for things like Eva 303 can be useful. I've noticed the Eva subreddit is very active and popular right now and has been rising in popularity rather fast (as well as having a pronounced Asuka and Asushin tendency), so I've been active there recently. Regardless, EGF is still very well known across the fandom and holds a place in my heart. Anyway, I'm glad you're still having fun with it. I guess it's time for me to finally sit down and understand Reddit. :P While you're here do you have a link to the Eva subreddit? I've honestly never taken the time to find my way around reddit.